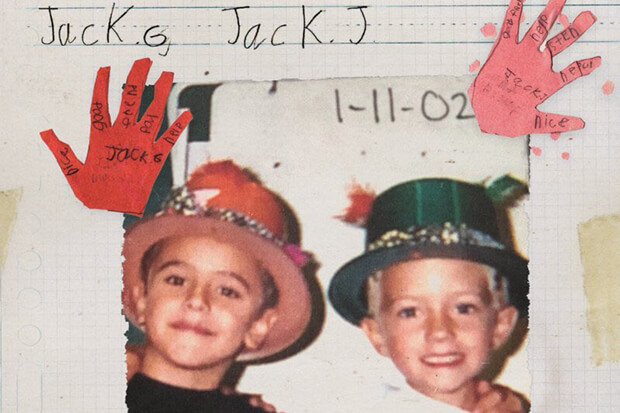 Jack & Jack has been cranking out tunes since 2014, but their debut album is still nowhere to be seen. That will change on January 11, 2019 with the arrival of A Good Friend Is Nice. Jack Gilinsky and Jack Johnson revealed the cover art on social media yesterday (November 7) and it’s a testament to their enduring friendship. After all, the 22-year-olds have known each other since childhood and took the leap from Omaha, Nebraska-based social media sensations to LA-based pop stars together. While the tracklist is still under wraps, the press release reveals that “No One Compares To You” and “Rise” will be included on A Good Friend Is Nice. Which makes perfect sense. The former is shaping up to be a streaming smash (10 million cumulative streams in less than a month), while their collaboration with Jonas Blue conquered the charts around the globe. It will be interesting to see if previous singles like “Beg” make the cut. Or perhaps, the guys are going with all new material. Pre-order the opus here. Jack & Jack will support A Good Friend Is Nice with a tour. The North American leg starts in Englewood, CO on April 2 and winds up in their hometown on May 5. See all the dates and buy tickets here. Are you excited for their album? Let us know below, or by hitting us up on Facebook and Twitter!